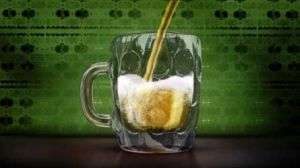 Researchers from CSIRO and Korea’s ETRI will pour a virtual glass of beer in San Diego next week at SIGGRAPH 07, the world’s largest computer graphics conference, to showcase their innovative fluid special effects software. CSIRO fluids researcher Dr Mahesh Prakash says the physics of bubble creation in carbonated drinks like beer is complex. “As you pour beer into a glass, you see bubbles appearing on what are called nucleation sites, where the glass isn’t quite smooth,” Dr Prakash says. Dr Prakash and his colleagues have captured the maths describing these processes in software that allows movie makers, film production houses and others to create super-realistic special effects. The four-year project is being undertaken jointly by CSIRO and South Korea’s Electronics and Telecommunications Research Institute, one of the world’s largest computer graphics developers for games, with most of the research being done in Melbourne. Clever maths called smoothed particle hydrodynamics (SPH) helps the software do its job by working smarter not harder. The software uses less computer power and takes less time to get better results than other special effects software it has been benchmarked against. CSIRO Business and Commercialisation Manager, Andrew Dingjan says CSIRO and ETRI hope this will bring the fluid animation software within reach of smaller film production houses. “Big Hollywood studios spend vast sums on single-use solutions when they make blockbusters like ‘Poseidon’ and ‘The Perfect Storm’ but we’d like our software to make realistic special effects easier to come by,” Mr Dingian says. Computer animation is a US$55billion global industry. Discussions with potential global commercialisers of the software will follow next year.